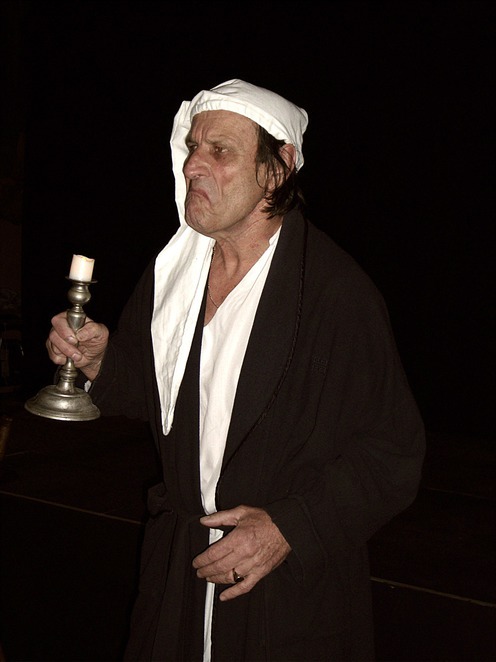 ARENAarts is putting a different spin on Charles Dickens by adding a few laughs to his classic tale A Christmas Carol. 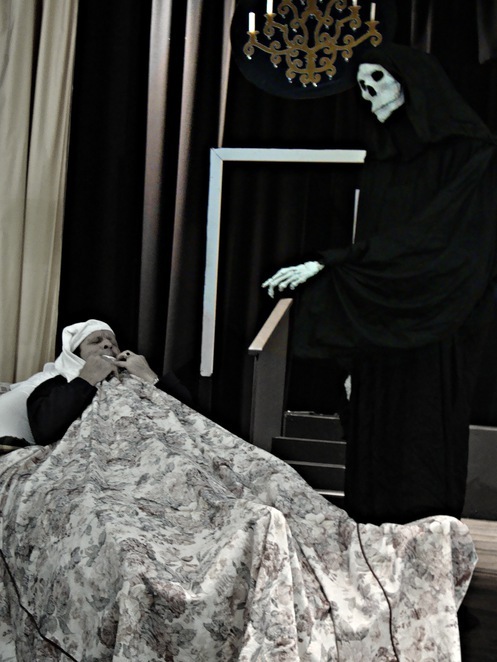 Adapted by Karen Louise Hebden and directed by Trish Theisinger at the Latvian Centre Theatre, it's a fun-filled family show full of traditional Dickens characters – but not your usual Scrooge. This version of A Christmas Carol features innovative performances, quick characterisations, heaps of comedy, dashes of drama and flashes of tragedy. Yet the story remains the same: Scrooge is a miserly old man, lost in the business of making and conserving money, shunning any act of kindness or charity. He makes it absolutely clear he has no money to give anyone but himself – until a few helpful, if somewhat eccentric, ghosts and a charming child help Scrooge to redeem himself, bringing him back to life. "Dickens is always a bit bleak," Trish said. "I couldn't resist cheering him up a bit! I haven't met an audience that doesn't like a laugh, a bit of pathos and some lovely music chucked in for good measure. "A Christmas Carol might be a classic but it's also a human story about being lost and then being found. Given it's Dickens, I don't suppose the audience will expect it to be funny but humour can be found in almost all situations – so there is a mix of the dark and light." Classically trained at the UK's Royal College of Music, Trish has spent many years in theatre, musical comedy and pantomime but has mainly worked as a singer and teacher. She was musical director of the Kalamunda Showtime Singers for 13 years, writing and directing their twice-yearly shows. In 2010, Trish was named best director for her production of Lily at the Hills Festival of Theatre and, more recently, has appeared in The Trial of CY O'Connor with ARENAarts and The Wizard of Oz at the Old Mill Theatre. The main challenge with A Christmas Carol, she says, was adding humour to the show. "Scrooge lost himself in his business and made bad decisions about his love life," Trish said. "He was miserable although he didn't know it. "He made people around him miserable and if he glimpsed even a small flicker of happiness about him, he sought to extinguish it. The challenge was to make it funny and with the audience having a laugh, they can help cajole Scrooge out of his dark life. It is so much fun when he is redeemed!" 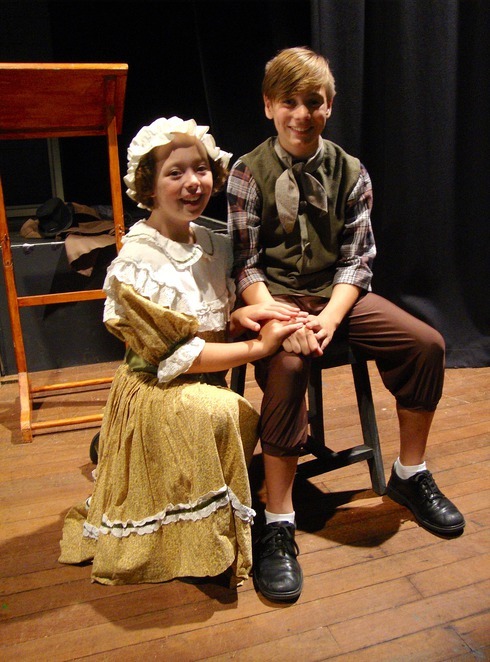 Ten-year-old Rohan Pierotti plays two roles, Tiny Tim and a character called "Ignorance". "Tiny Tim is a happy boy who faces a lot of difficulties in life, both physical and financial," he said. "But he comes from a loving family and never lets anything get him down especially at Christmas, the best time of year. "Juggling rehearsals and school can be a bit of a challenge, as well as having to stay in character and not get distracted, but it's lots of fun. I also have one quick costume change where I need to get back on stage as Ignorance and it can be a bit tricky staying quiet backstage." Acting with Ali Roberts Studio since January, Rohan found the auditions for A Christmas Carol on Facebook. "I thought it would be a great start to my acting career because it's a small roll suited to my age," he said. "I have learnt so much from all the other actors and our director Trish Theisinger." 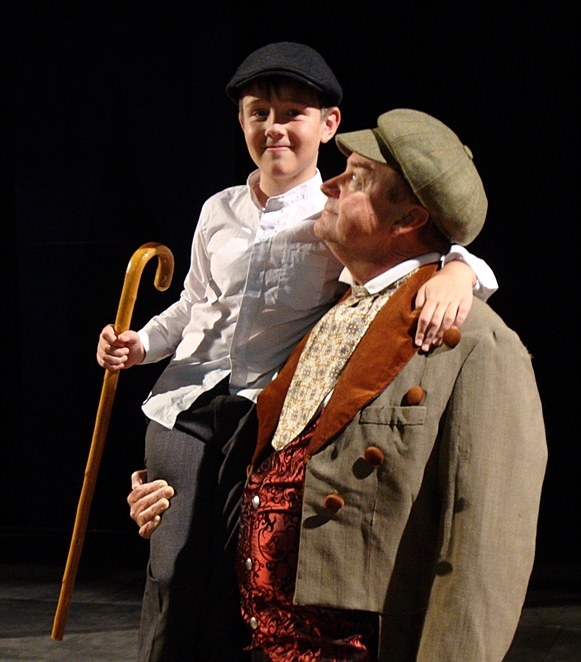 A Christmas Carol plays at 8pm November 13, 14, 19, 20, 21, 26, 27 and 28 with 2pm matinees November 15 and 22. Tickets are $20, $16 concession – book on 9399 9947, arenaarts@hotmail.com.au or at www.trybooking.com/JHNN. The Latvian Centre Theatre is at 60 Cleaver Terrace, Belmont. Why? It's a Christmas classic but with sprinklings of humour and innovation peppered throughout.